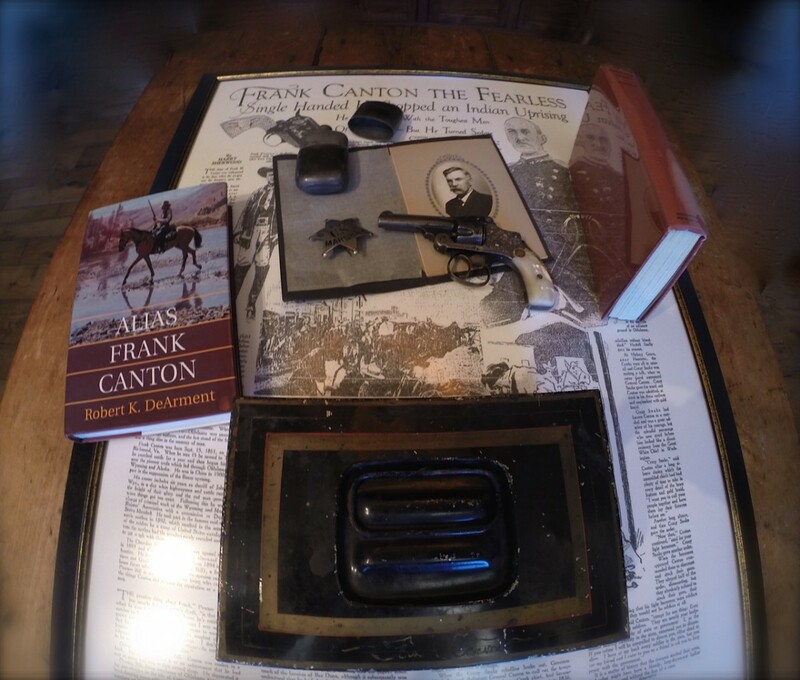 This is a Collection of Historic Old West Lawman Frank Canton. 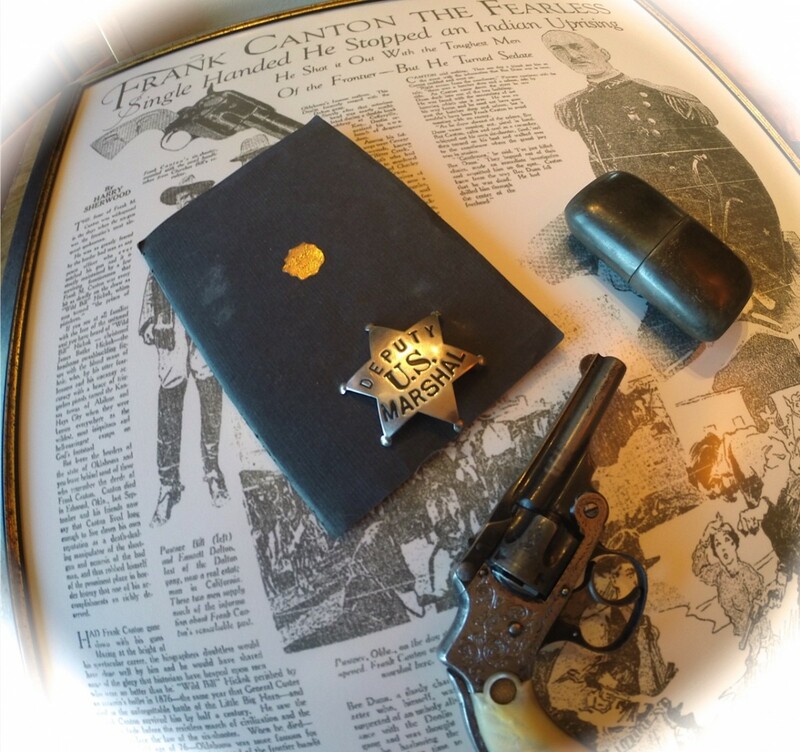 Includes His personal Smith & Wesson Pearl grip revolver .32 cal gun fully engraved, his genuine badge, a photo, flask, document box and research papers. was found not guilty, but he was the one who did it. He ended all Wells Fargo hold ups between Montana and Wyoming. 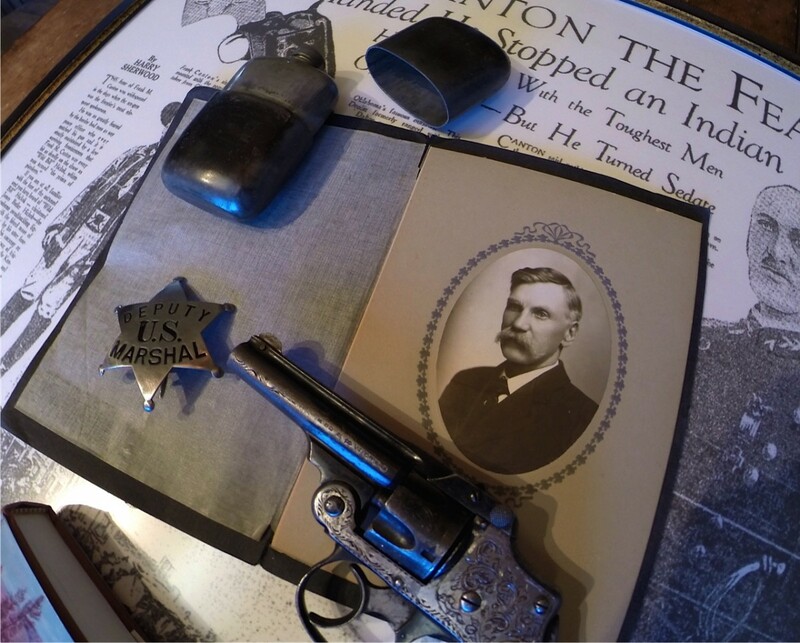 Was a Lawman in Colorado, Oklahoma, Kansas, Nevada and even in the Gold Rush in Alaska. 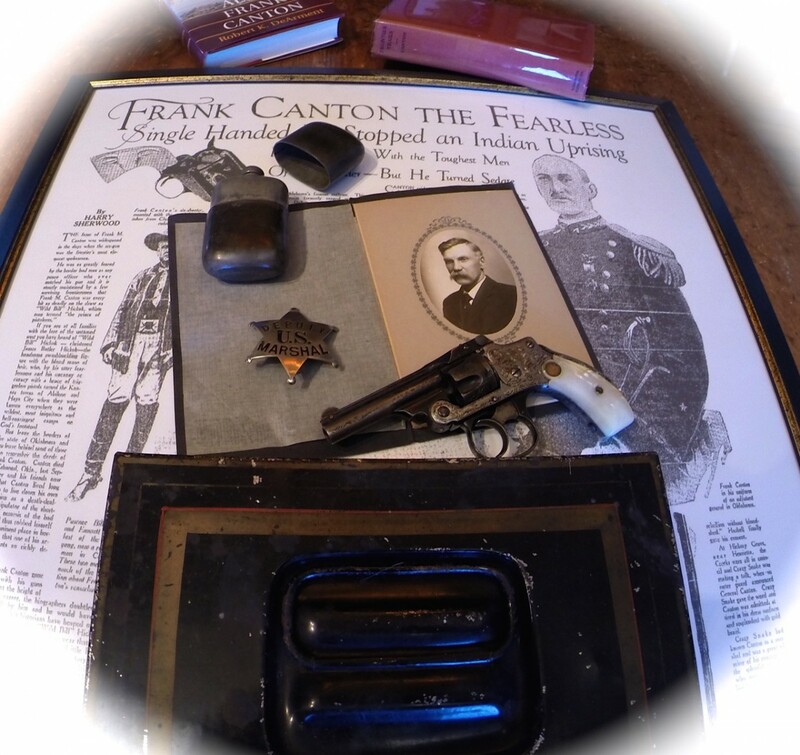 This is a Collection of Historic Old West Lawman Frank Canton. 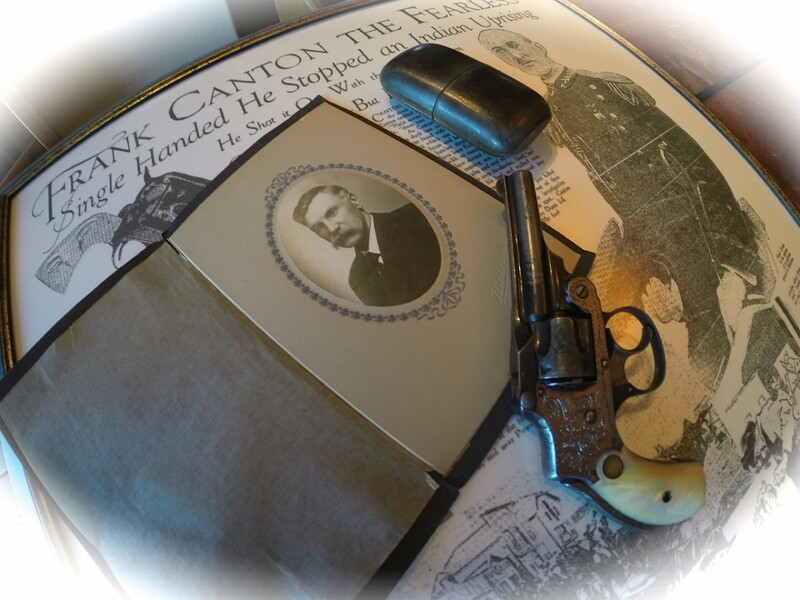 Includes His personal Smith & Wesson Pearl grip revolver .32 cal gun fully engraved, his genuine badge, a photo, flask, document box and research papers. A Blow up of the Front Page Newspaper. 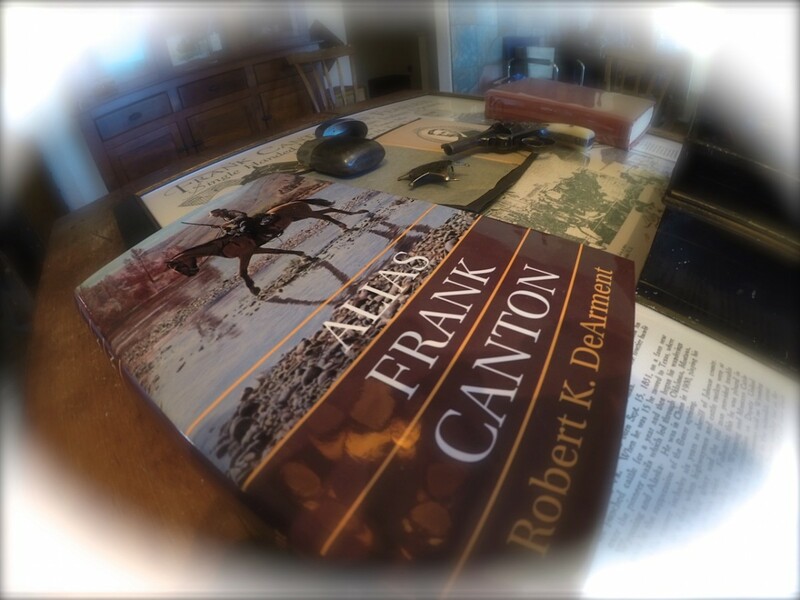 He was hired by the Cattle Barons along with Tom Horn, in Buffalo, Wyoming and involved at the same time in the Johnson County Wars. He was the one who killed Nate Champion, to which he was found not guilty, but he was the one who did it. He put an ended virtually to all Wells Fargo Stage hold ups between Montana and Wyoming. He was a Lawman in Colorado and in the Gold Rush in Alaska. Became a General in the National Guard. Stopped a Indian War single-handed. Fought many gun fights in the streets of many towns. A lawman supreme who carried arsenal of weapons on him at all times. Please email cowboyron@cowboycabin.comwith questions or call 406 270-2842.